Shahriman Lockman is a close-quarters observer of international relations in Asia and the Pacific. He brought a unique perspective on China to the Global Emerging Voices program and used his fellowship to broaden his knowledge on China's growing role in global governance. 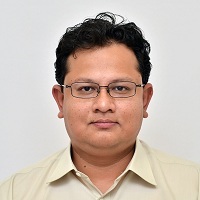 Since 2005 Shahriman has been a Researcher and Senior Analyst at Malaysia’s Institute of Strategic and International Studies, a think-tank engaged in policy research and advisory services. His work has placed him at the intersection of research and policy formulation with specific reference to Asian security and has given him a unique perspective on both scholarly research into the rise of China and its political and strategic implications for Malaysia and Southeast Asia. Shahriman's professional research interests have focused on China’s participation in ASEAN-led regional forums, China’s territorial claims in the South China Sea and Malaysia-China bilateral relations. His work has engaged him with some of China’s leading thinkers from across top Chinese universities and numerous Chinese think-tanks. “These discussions have enabled me to gain a better appreciation of Chinese perspectives on these matters,” he says. Shahriman's interactions with the Malaysian government have included policy assessments on the geopolitical implications of the rise of China. At a time when both Malaysia and China have competing territorial claims in the South China Sea, minimising tensions has been a central priority. Shahriman shared his perspectives on China with other emerging thinkers at the Global Emerging Voices Program in June 2012. But, he also used the program as an opportunity to gain new insights from the program’s other delegates’ broad-ranging perspectives. Shahriman completed a Master of Strategic Affairs at The Australian National University in 2009. His participation in the Global Emerging Voices Program was made possible thanks to funding from the ANU College of Asia and the Pacific and the Australian Centre for China in the World.